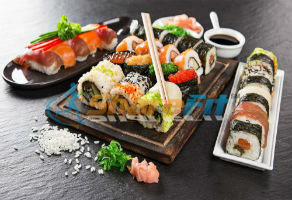 Once a rarity, Japanese cuisine has exploded in popularity in recent years, with everything from traditional sushi to fusion cuisine and ramen taking over the dining scene. If you’re hoping to eat a little healthier at your next venture out, we’ve ranked some popular dishes for calorie content, plus offered some healthier options below! This way, you’ll know which dishes to choose and which Japanese dishes to avoid.